iTunes 11 is finally out! 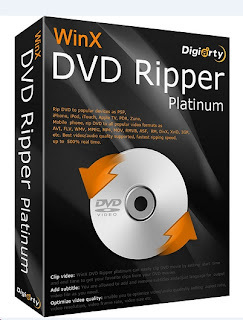 WinX DVD Ripper Platinum is a Windows-based DVD ripper software capable of ripping both DVD disc and DVD ISO image to mainstream videos, such as rip DVD to AVI, DVD to MP4, H.264, MPEG, WMV, MOV, FLV, 3GP, etc. It can also help users faultlessly convert DVD to iPhone/5, iPad/3/Mini, iPod/5, Apple TV, Android, Surface Tab, Galaxy Tab, HTC, Samsung, Xoom, PSP, etc, latest encrypted DVDs supported. This DVD ripper brings No.1 fast DVD ripping solution thanks to the cutting-edge technology to support Multi-core CPU (maximally 8 cores) and Hyper-threading. Be sure to activate before Nov.28.